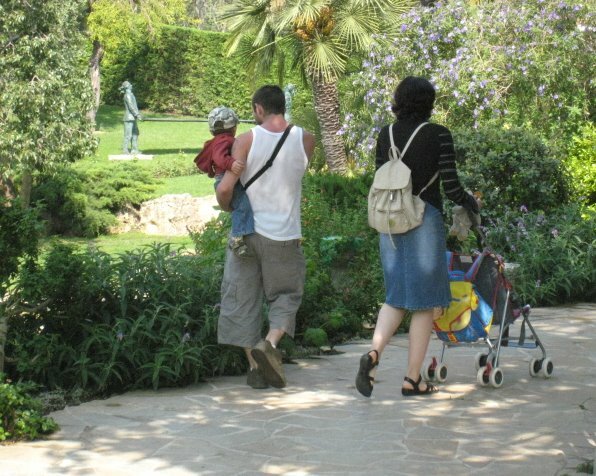 This family are taking a stroll in the gardens of Fontvieille. You can see part of the sculpture, posted yesterday, in the background. Tank top and jeans in Monte Carlo? Like the way you played the sculpture back in.